It's 9 days to D-day. 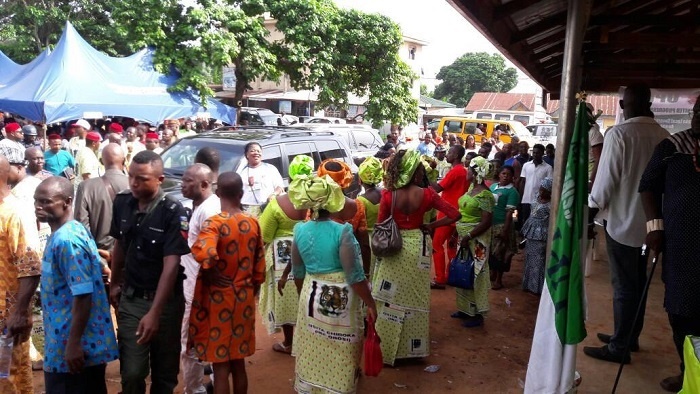 Residents of Anambra State will head to the poll to determine who serves as Governor for the next four years. Political gladiators in the state are putting finishing touches to campaign activities to outwit one another. 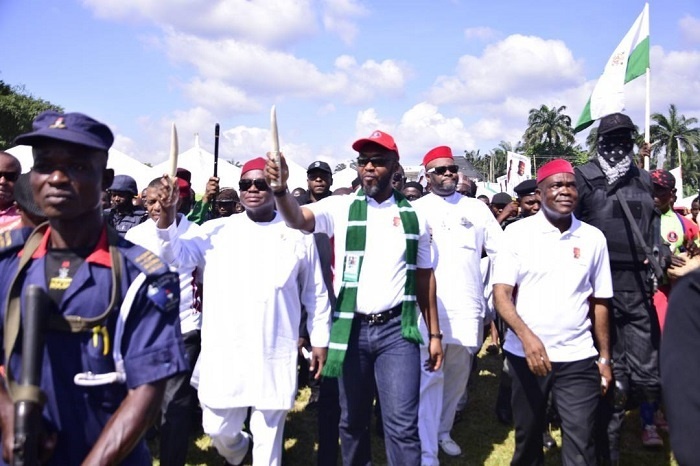 Of all the candidates running to the government house, the United Progressive Party's flag-bearer, Osita Chidoka stands out. Apart from being the youngest candidate among the 37 vying for the governorship seat, Chidoka had garnered enough political experience. He is a unique blend of wisdom and youth with keen focus on practically transforming rural areas. The former Minister of Aviation, who is also a former Corp Marshal of the Federal Road Safety Corp (FRSC), showed strength weeks back, when he clinched the UPP’s ticket over another aspirant, Chudi Offodile, a former member of the House of Representatives. Chidoka polled 1,222 votes to defeat Offodile who got 87 in the primaries. He won the party’s ticket few days after defecting from the Peoples Democratic Party (PDP). He joined UPP after the Appeal Court had affirmed the leadership of former National Chairman of the PDP, Ali Modu Sheriff. Chidoka was in support of the Ahmed Makarfi led Caretaker Committee. 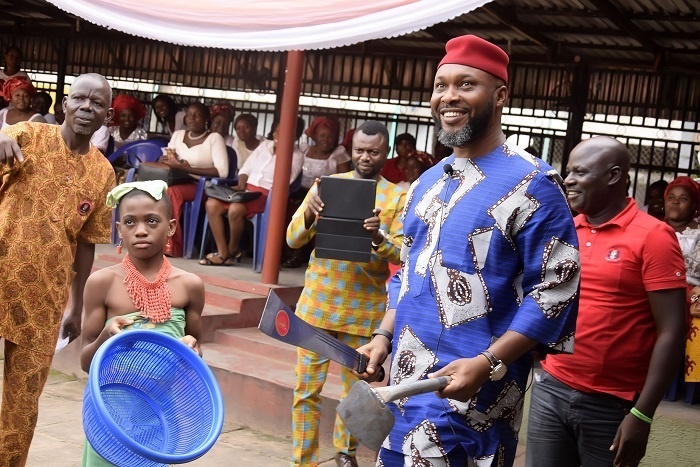 Chidoka’s victory at the UPP primary did not come as a surprise. He has established himself as a relatively popular figure in Anambra politics having been visible all through the administration of former President Goodluck Jonathan. So, when he declared interest to contest for the governorship, many threw their weights behind him. The people say they trust him. He is up against the incumbent governor, Willie Obiano of the All Progressives Grand Alliance (APGA), Oseloka Obaze of the PDP, Tony Nwoye of the All Progressives Congress (APC) and Godwin Ezeemo of the Progressive People’s Alliance (PPA). These are no easy opponents; but it appears the Obosi-born politician may be underrated to his advantage. He is fresh and young. He is known to have a strong connection with youths. His calm and humble mien has endeared him to many people. They call him 'Our Osita'. The revolutionary ideas he brought to the FRSC and aviation ministry are also his selling points. Since he left office as minister, no finger has pointed at him for alleged fraud neither are there claims that he dipped his hand in the national cookie jar. Osita's chances are even made brighter by the fact that there are allegations of selective performance against the incumbent governor who has his hands full with the leadership crisis rocking APGA. 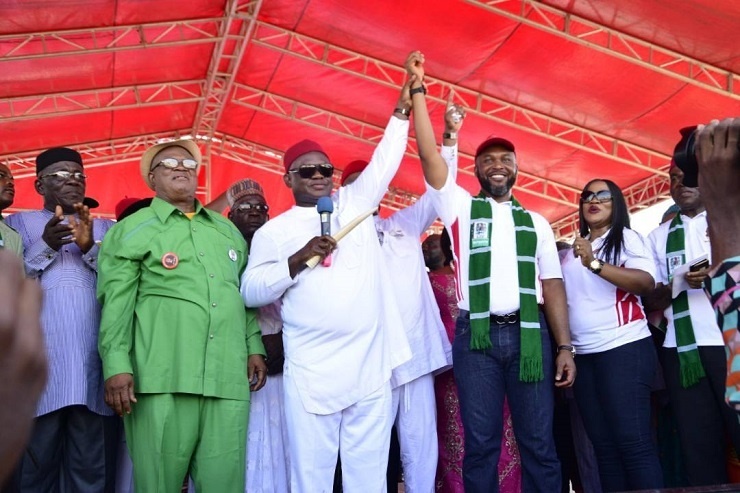 Chidoka as UPP candidate will be looking to benefit from the disagreements within the ruling APGA, the cross carpeting in and out of the PDP and the cash-trapped APC. The youthful crowd he continues to pull during his campaign rallies is an indication that the brand Osita is top of mind. Some people in Anambra State believe Chidoka as governor would not be scared to take decisions. He will have a point to prove bearing in mind that he climbed no political god father's throne to get to attain any of his successful heights. He is also said to have a strong financial base that could match that of other candidates in the major parties. Chidoka is confident of winning the election, promising in his acceptance speech to deliver the state to UPP. “There is no way any other party can defeat UPP in Anambra State. It is a party built and owned by the people. APGA has completely failed them. APC has rejected, marginalised and dehumanised them as mere 5%, so it has no place here. “The PDP has lost its bearing as a party and cannot connect with the people,” he said while receiving supporters in the state capital. “Go and check, it is only the UPP that has genuine followership across Anambra. While other parties are busy chasing shadows, we have been working hard to build our structures. "The people know that the UPP is the authentic political vehicle through which they can realise their aspirations. The time has passed when they can be bought or intimidated. He has promised massive job creation as a way of fighting youth restiveness in the state, noting that it is only through job creation that crime can be fought, not bullets. He has equally given an assurance to the elderly that his government will make provision for support packages to improve their welfare. This may have been part of the reason he has received endorsement from several communities in the state, who have pledged their support for a fresh start. Chidoka has picked Marcel Okeke as his running mate. Okeke, a fomer Chief Economist in one of Nigeria’s biggest banks, brings administrative expertise and private sector experience required to deliver dividends of democracy. But like every other candidate in an election, there are other factors that might work against Chidoka and possibly see him fall short. He is from Obosi, Idemili North Local Government in Anambra Central Senatorial Zone. The zone has produced Dr Chris Ngige in 2003 and Peter Obi who replaced him in 2006. Obi did eight complete years in office. There are strong campaigns for the Northern Senatorial Zone where Obiano, Nwoye and Obaze come from to complete their eight years before the seat returns to the Southern Senatorial Zone. The same zone produced Chukwuemeka Ezeife and Chinweoke Mbadinuju who was in power between 1999 and 2003. To this extent, it is hard to see the governorship seat returning to the central zone. This will be a huge obstacle on Osita’s path to greatness. However, hurdle or no hurdle ... these Anambra people love their Osita.